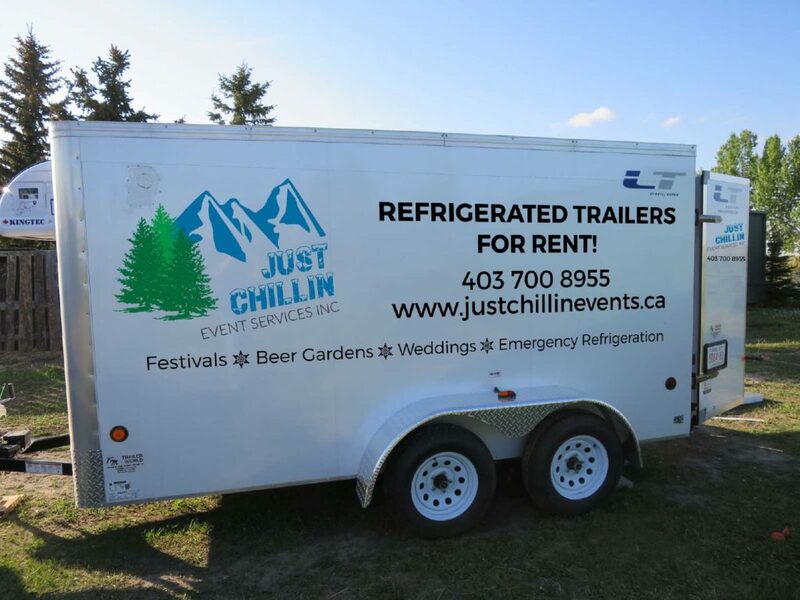 Just Chillin Event Services provide mobile refrigerated trailers for festivals, weddings, beer gardens, trade shows, special events and emergency refrigeration in Alberta and BC. Our 6 ½ X 12’ refrigerated trailers are equipped with 5 outside taps for dispensing perfectly chilled draft beer, cider, kombucha or even water. Use them for cold storage, beer gardens or a combination of both. Trailers run on 115V / 15 amp electricity and plug into a regular dedicated outlet. All units include interior switched LED lighting and shelving when required. Perfect for indoor or outdoor events! To learn more, contact Just Chillin Event Services today!